We’re going to be moving home over the summer (I’ll share more about this soon) but if you’re not up for a big move this year, you’ll probably want to focus your energies on making the most of your existing house instead. Home renovation is big news right now, and everyone seems to be having some kind of work done. Wherever you look, houses are being built either outwards or upwards, or are being completely transformed inside. 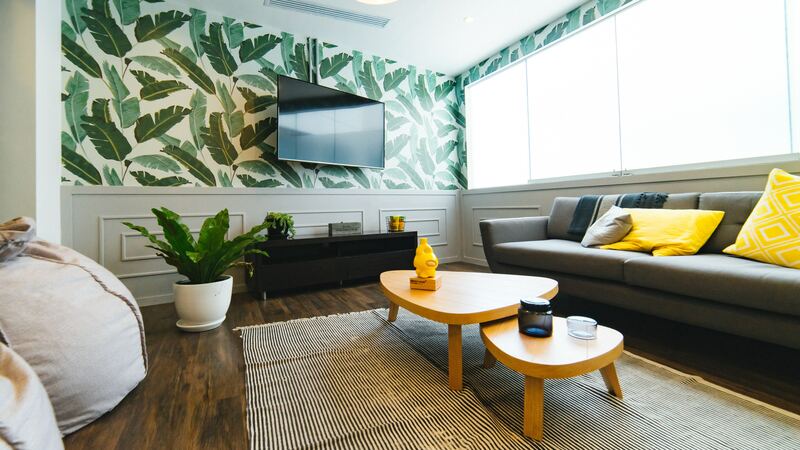 So if you’ve decided to stay put, here are a few ideas on how you could upgrade your home this year. Getting a conservatory is a very popular way to create more space in your home, without having a full-on extension and all the work that goes with it. Conservatories are a popular choice because they are light and bright, and they let you enjoy your garden, even when it’s not warm enough to sit outside. If you have a decent roof put on them, you can still use your conservatory even in the cooler months. If you have little ones, conservatories can make a great play area for them, and helps to keep their toys out of your ‘grown-up’ living space! Or, you could use it as an extra dining area when you entertain. Often, people think they need a bigger house when in fact, they’re just not making the most of the space they have. The first step is to have a thorough declutter. Make sure the only things left in your house are things that you currently use and need. Move everything else out to the garage while you decide what to do with it, or donate it to charity. Now think about your priorities. Where do you spend most of your time? How do you use the house on a daily basis? Can you make more of the areas that you spend most time in? Could you switch some rooms around? Really think about how you live in the house, and use that as a starting point for making sure your set-up works for you and your family. If you want to go one step further from reconfiguring your space, how about remodelling? Obviously this will be more costly but will probably be cheaper than moving! Time to get your floor plans out and get creative. If you knock down a wall, a la Kirstie and Phil, can you create an amazing open plan kitchen diner? Or could an attached garage be converted to make an extra room? Consult an expert who will be able to show you what could be done. You never know, you could already be living in your dream home. There are several reasons why you should invest in good quality, double glazed windows. Firstly, new windows instantly improve the look of your home. It’s like giving it an instant facelift. Secondly, double glazed windows will help to keep your heating in, and those pesky draughts out. You want to avoid your bills skyrocketing over the winter if you can. Thirdly, security. If your existing windows have seen better days, it would be wise to think about replacing them as soon as possible. Modern windows with good locks are an essential part of keeping your home secure and acting as a deterrent to burglars. It’s amazing what a few coats of paint can do to a room, or a whole house. Your walls can start to look tired quite quickly, especially when you have kids running around and crashing in to them on the daily (not to mention some of their Very Special artwork! Thank God for washable crayons). If you’ve got some free time, or you can make the time, you can save quite a lot of money by doing the painting yourself. However if you don’t fancy yourself much as a painter/decorator, it might be best to call in a professional. They’ll get it done really quickly meaning much less upheaval for you. We decided to get our kitchen repainted to erase all the splodgy reminders from Ethan’s messy weaning days (tomato sauce on the wall, anyone?) and I’ll admit, we paid someone else to do it. The work was done in a day and upheaval was minimal. We’re so pleased we did it, as it’s made the kitchen look much fresher and given it a new lease of life. Have you made any changes to your home recently? What have you done? Please tell us in the comments. Disclaimer: In collaboration with GetAWindow.